Campsite Kerlaz is a campsite with 65 touring pitches. 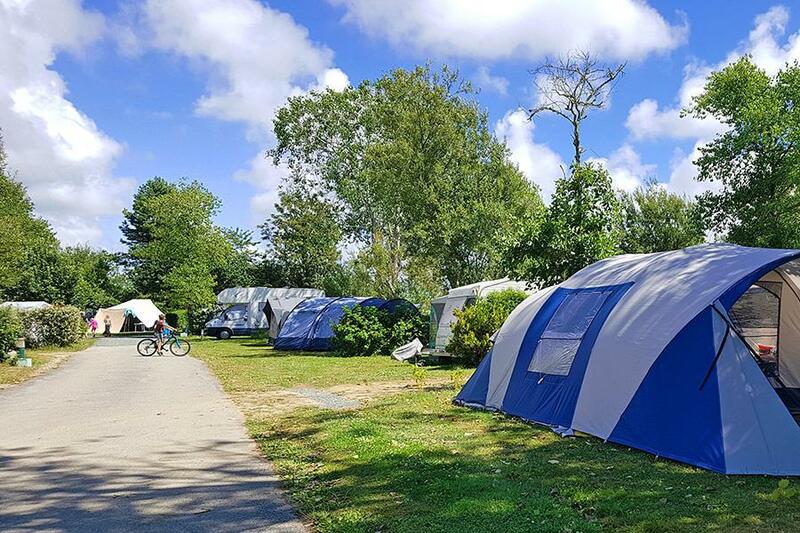 During low season, between 06-04-2019 - 01-07-2019 and 01-09-2019 - 24-10-2019, the nightly rate is €16,- at one of the 65 touring pitches at Campsite Kerlaz in Tréguennec (Finistère). At this campsite you can not only use your CampingCard ACSI for inexpensive camping, you can also use your ACSI Club ID (as an alternative ID). Quiet family-oriented campsite with shady pitches. Heated indoor swimming pool with sliding roof that opens completely in fine weather and swimming lessons from 1/7-31/8. Donkey rides possible, between 2 hours and 3 days long. The beach nearby, "La Torche", is internationally known for surfing in the strong surf 3 km. Would you like to book Campsite Kerlaz or request more information? You can do both using the information below. From Quimper first towards Pont-l'Abbé. Then D156 to Ploneour and direction Tréguennec. The campsite is on the right side of the road. CampingCard ACSI will send your information request to "Campsite Kerlaz".